I am using one Macbook Pro with OSX 10.7.5 Lion. Yesterday I was experimenting to install debian 8 in my flash drive. It was successful. I started from holding down option key in my keyboard. Then choose, boot from my flash drive. After installing Debian in my flash drive, I removed it. Now the problem is everytime I start my laptop. It is showing the following screen. I need to hold down the option key to select Mac HD for entering into my os. How can I solve this GRUB issue!!! Browse other questions tagged macos lion boot grub . How to distinguish multiple OS X installations from each other in the bootloader? My 2011 MacBookAir boot screen does not list MBR USB flash drives anymore – Why, and how to list them again? To Rescue Nonbooting OS X with Grub? 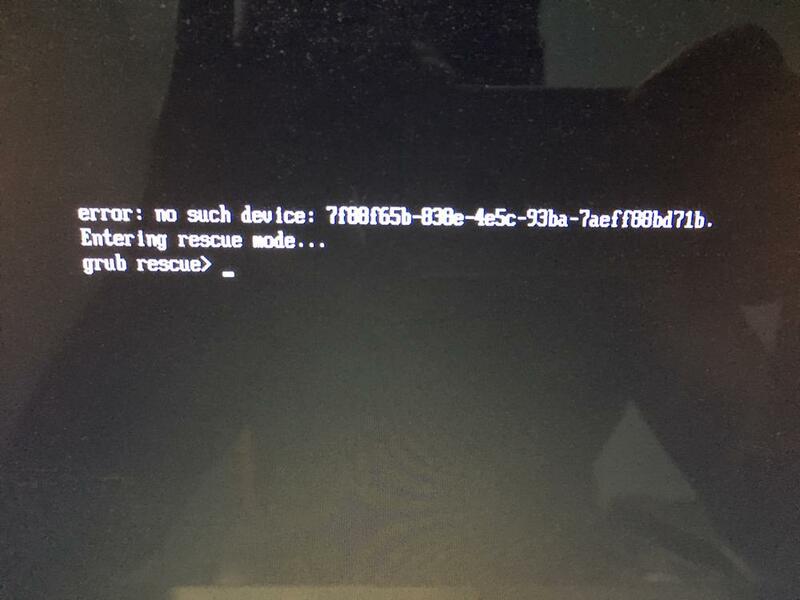 stuck in GRUB rescue: hardware error?